Technology in the home has evolved rapidly in recent years, making many housekeeping tasks easier and more efficient than ever. But sometimes all the setup, troubleshooting, and maintenance can seem overwhelming and unnecessary. Are these new ways of completing familiar tasks worth the hassle? 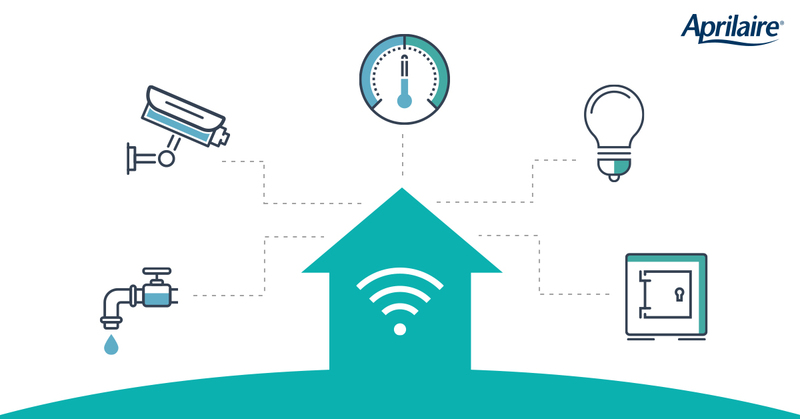 We looked at five types of smart home products on making the technology work for you. The right lighting can really transform different rooms in your home. The ability to dim lights or add lighting to previously dark areas will give you more control over the appearance and atmosphere of your home. This can be accomplished using smart bulbs, smart switches, or smart outlets. We recommend starting with smart bulbs to get a feel for what this technology can do. Using your phone or voice commands with a smart personal assistant device, can turn on, off, and dim smart bulbs from anywhere. And perhaps best of all, it won’t be a constant battle to remind your kids to turn the lights off. They’ll just have their personal assistant do it. Smart home locks make it easier to enter and exit your home and harder for unwanted people to enter. Smart locks can sense you and your family’s presence by pairing with your phones. They unlock automatically without you fumbling for keys. Many of them offer temporary keys that allow one-time access for service providers, pet sitters, and others who may need to get in. You can manage it all on an easy-to-use phone app that gives you full control over your home’s accessibility and security. Using sprinklers to keep your lawn greener than the neighbor’s? You’re already one step above manual watering, and “Smart Sprinklers” are the next logical move. They go beyond a regular watering schedule to monitor different zones of your lawn that may require more water because they see lots of sunlight. And they even use weather data to turn off sprinklers if a rainstorm is on the way. This all happens automatically, so you don’t have to worry about a thing. It’s important to feel safe in your smart home, and having a video monitoring system is an easy way to accomplish that. They’re most often motion-activated, which helps save electricity and makes it easier to distinguish when there might actually be a problem or intruder. Whether you’re at home or away, most systems let you watch live footage on your cell phone and save clips to share with family or law enforcement. After installing the cameras, all setup and control happens right on your phone. So if you’re comfortable with that, managing your security system won’t be an issue.